The adventures of Marvel U.K.'s first all-original super hero continue! 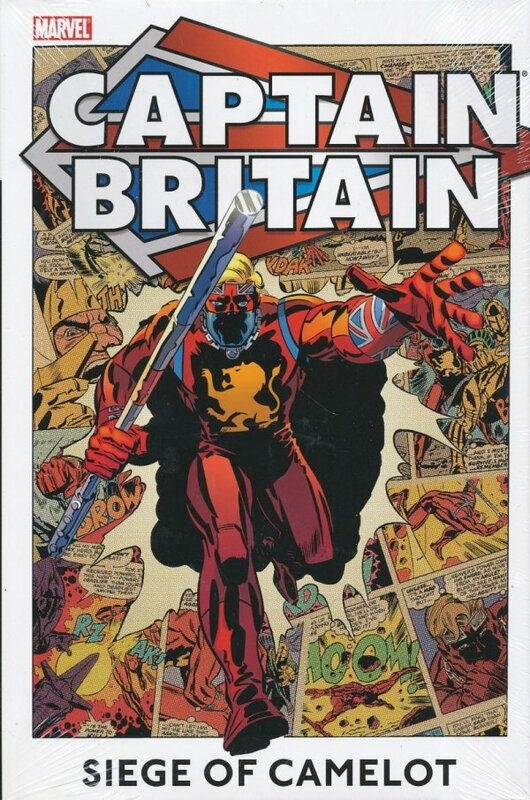 Captain Britain thought he had it rough facing foes like the alien Star-Creature, the shape-shifting Black Baron, the mad Doctor Claw and the vicious Slaymaster. But that's nothing compared to what awaits him when travels to America and teams up with Spider-Man to battle the villainous Arcade, and then battles side-by-side with the Black Knight as they plunge into the heart of Otherworld - where they encounter the mystical Merlyn, the evil Modred and the ancient Nethergods?and must resurrect King Arthur himself! Collecting SUPER SPIDER-MAN AND CAPTAIN BRITAIN #233-247; MARVEL TEAM-UP (1972) #65-66; and material from HULK COMIC #1 and #3-46, and INCREDIBLE HULK WEEKLY #47-55 and #57-63.